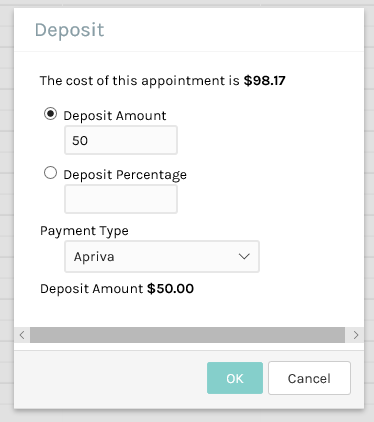 If a client pays a deposit for a specific appointment you can easily record it against their account. 1. 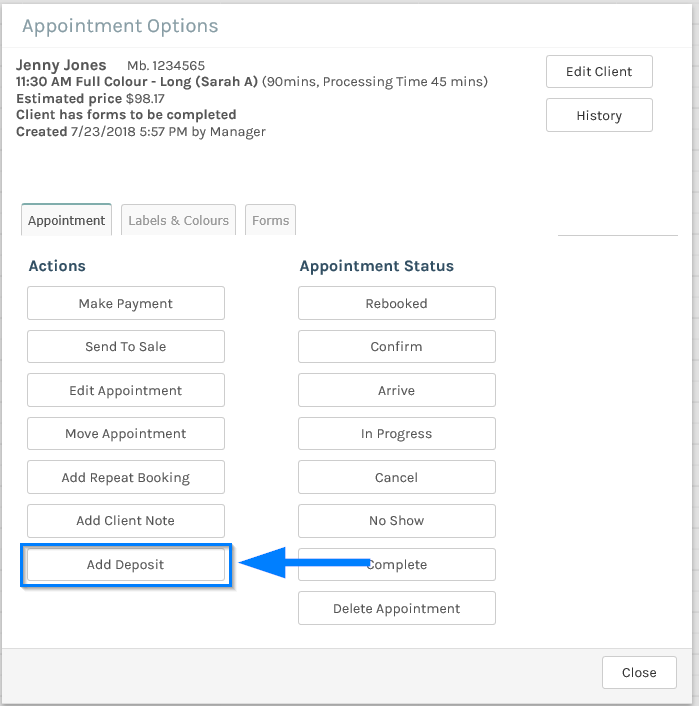 On the Appointment screen click on the appointment you want to add the deposit to, or use the More Options on the appointment hover menu. 3. 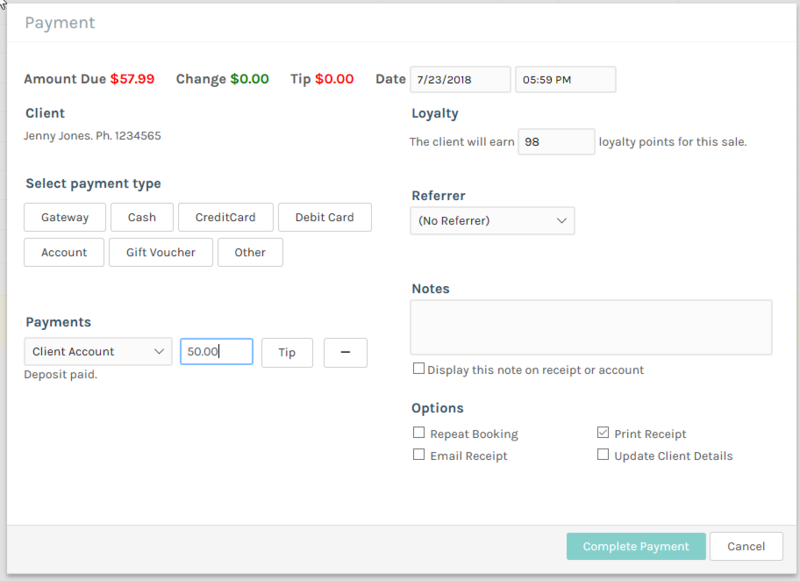 On the deposit popup enter the deposit amount the client is paying and click OK. The deposit will now be recorded against the client. If you now Send To Sale and Complete Sale as you would any normal screen the payments screen will use the deposit in the payment screen.